ANGUISH by Bigas Lunas was released in 1987. Set in the United States, this flick explores the very nature of cinema as well as dealing with the overwhelming influence that a film could exert. As a matter of fact, it was well-known the trouble with A CLOCKWORK ORANGE and the copycats who came up after watching it. With a really simple plot, ANGUISH offers a quite similar idea to THE HEADLESS EYES (Kent Bateman, 1971): a serial killer who is obsessed with his mom and decides to pull up his victims’ eyes. Before analyzing it, it stands out the main actors, Zelda Rubinstein (POLSTERGEIST, Tobe Hooper, 1982) and Michael Lerner (CLASS REUNION, Michael Miller, 1982), who had appeared in some American movies previously. “Our dreams are essentially cultural products, shaped in their nature by the artifacts of society –in particular, films. We have internalized the film medium to such an extent that we literally screen inner movies in our sleep –the very forms of our dreams are derived from the forms we encounter in the cinema”. ANGUISH is a perfect example because it is made by a Spanish director, despite setting in the USA. Thus, many stereotypes related to America are shown on screen: insecure atmosphere, a psychopathic serial killer on the loose in reality and a cinematic psychokiller obsessed with his mom, and the film influence on Patty (Talia Paul)’s, who becomes crazy due to her paranoid fear of the film monster as well as the anxiety she feels while she’s watching the movie. Hence, through a parallel editing, the flick blur the boundaries between reality –watching it from a seat in a movie theater- and dream –the film story- and as an only one, it turn into a nightmare. Finally, we go through another that the film deals with: the hypnosis. Through the mystery about how this pseudoscientific technique influences the human mind, Bigas Luna intends to make audience terrorize with the idea that, as the main character goes crazy, hypnosis can work out on ourselves. The spine-chilling scenes with hypnosis seem to be the result of film experimentation as well as a tribute to sound and horror gimmicks of old horror movies by William Castle. He was a Young director who had made a few movies like LOLA (1986). McGuinn, Colin (2005). The Power of Movies. How Screen and Mind Interact. Toronto (CAN), New York (US): Vintage House, p. 193-194. 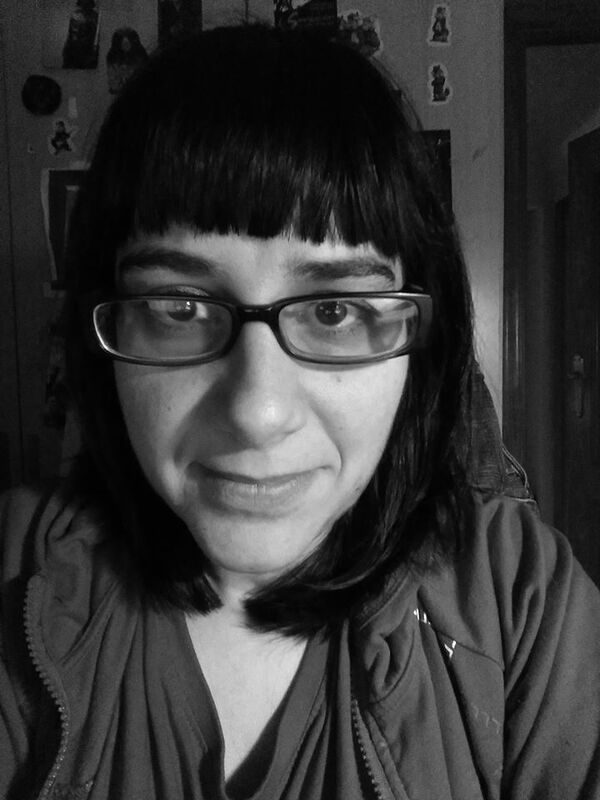 Erika Tiburcio (nancykrueger) lives in Madrid and works as a teacher. Currently she is doing her PhD thesis about the serial killer in American horror movies from Psycho to Henry: Portrait of a Serial Killer. She loves horror movies, comic books, video games, etc. She has contributed to some Spanish websites and magazines like Phenomena Experience magazine and La Mansión del Terror and has written some articles for different international magazines like Serial Killer Calendar.